22 dBi Gain, 4x4 MIMO Sectorized Panel Antenna for 802.11AX, and 4x4 MIMO Access Points and Radio modules. 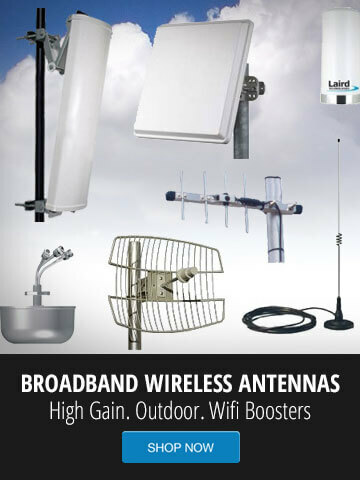 This antenna will support third party access points. It uses 4x N-Female connectors. 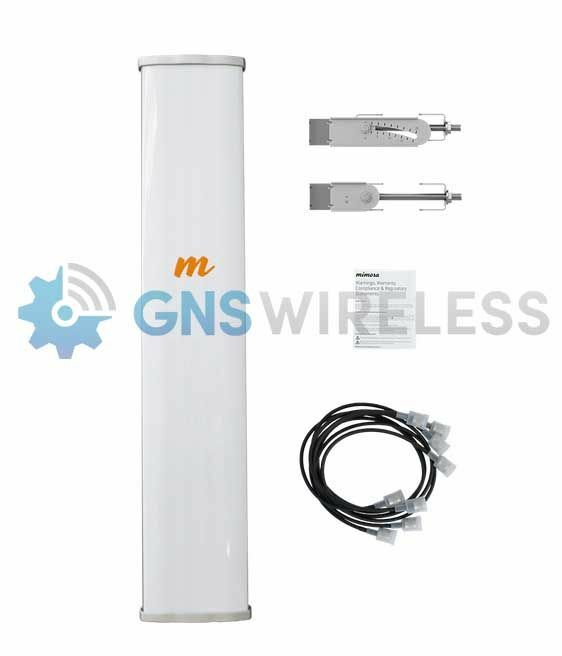 Contact GNS Wireless for coaxial cable assemblies. Overcoming noise at tower sites is key to scaling capacity. The N5-45x4 delivers industry-leading side lobe rejection and an unprecedented 43 dB front-toback (FTB) performance — the highest FTB ratio of any sector or horn antenna in the industry. 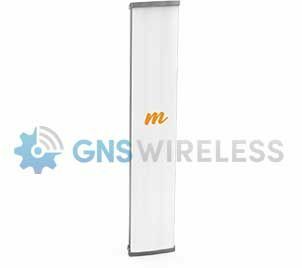 When used in combination with the Mimosa A5c access point, there’s no higher performance tower solution to deliver full 2x spectrum reuse. Supporting 4.9 GHz public safety applications and multipoint licensed operation up to 6.4 GHz (where regulations allow), the N5-45x4 provides an additional 800 MHz of spectrum beyond the crowded 5.15–5.85 GHz unlicensed channels. Mimosa B5, 25dBi Antenna, Gigabit, POE included.